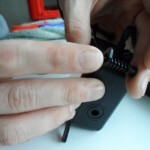 What sets the S36 AIO apart from the others on the market is its expand-ability, by incorporating 1/4″ threads it allows you to simple take it apart and expand as you see fit, perfect for people on a low-budget looking to get into water cooling without all the hassle of initially leak testing. 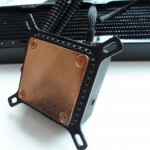 Consisting of a strong pump, The Kelvin S36 uses an all-copper universal CPU waterblock that is compatible with most modern AMD and Intel sockets as well as a 360mm copper constructed radiator which is reminiscent of Alphacool’s nexXxos range, oddly enough this AIO was developed in conjunction with them as well. Let’s see what’s in the box. 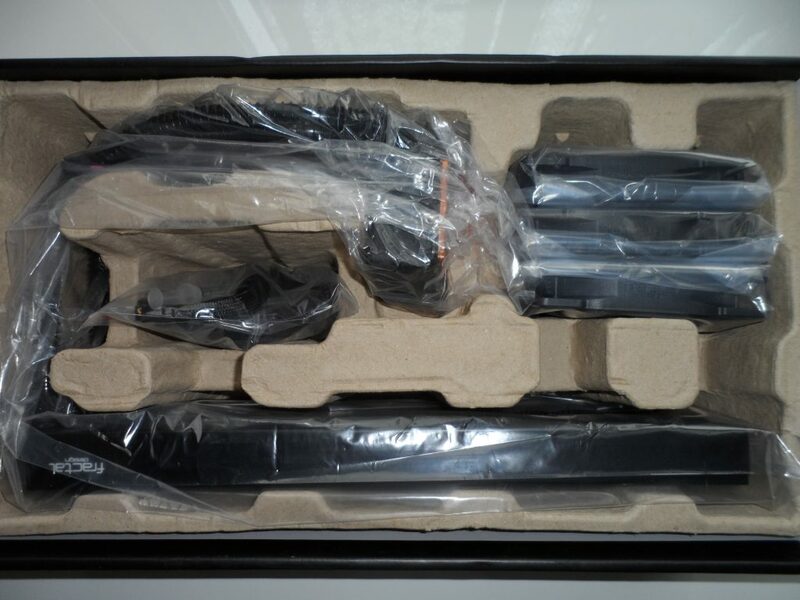 When the unit arrived I was quite shocked at how big the packaging was, what was I to expect from a 360mm AIO cooler? First look in box and I can see that Fractal Design took great care to make sure that nothing arrived broken or missing. 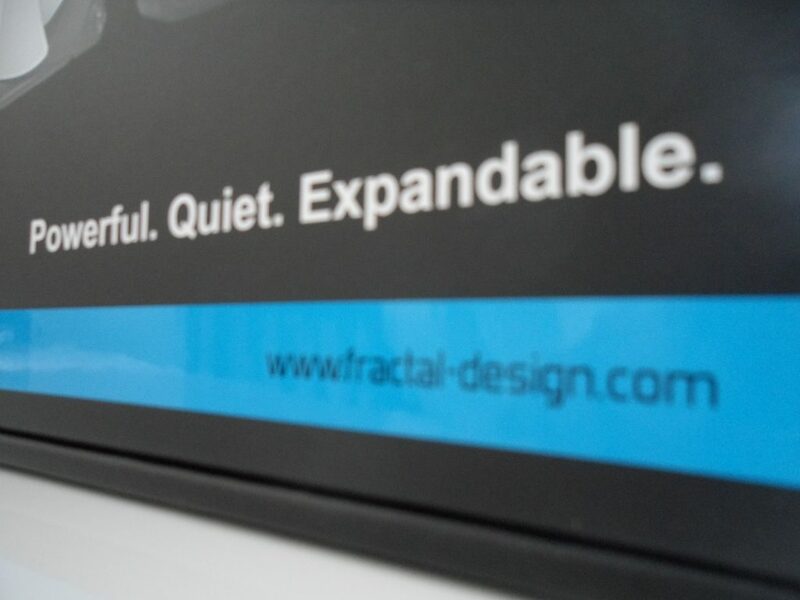 It’s very easy to see the collaboration between Fractal and Alphacool. 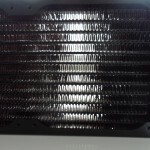 When I had the unit in my hand, it reminded me very much of Alphacool’s nexXxos range which is not a bad thing, retaining low fin density I imagine in an effort to lower noise however don’t think that’s going to hinder its performance – it has a lot of surface area and cooling potential. Upon inspection, the copper base is reasonably polished. Not quite as good as the T12 but acceptable. This is not directed at Fractal but it would be nice to see an AIO manufacturer take more time polishing their CPU blocks for those of us that want to gain ever degree we possibly can – overclockers are ruthless and sometimes the small things all add up. 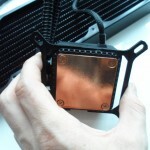 [UPDATE] Fractal Design contacted me about my comment on the copper base and said that they thermal paste included is specifically formulated to smooth out any imperfections and leave a perfect contact between the IHS and the copper plate. I will say for bundled thermal paste is does do a good job. Aside from my small gripe I can’t say its had any impact on overal temperatures. Installation of the unit was not as straight forward as I would have liked, I had to enlist the help of my fiancée to help me hold the bracket. While it does come with sticky pads to help with this issue holding the bracket onto the motherboard, it seems that Intel Skylake processor based builds have a slight issue. 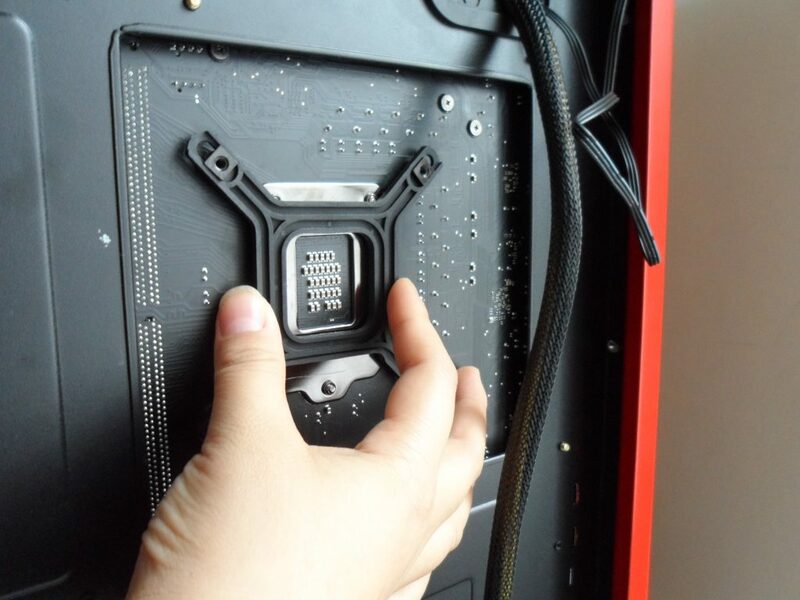 The cpu is marginally thinner that its Haswell counterparts meaning brackets don’t always fit correctly. 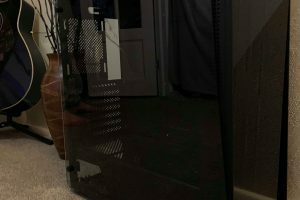 I did have a Corsair H110i GT lined up to compare this unit to but the bracket was loose, flapping around and it’s currently under going an RMA. 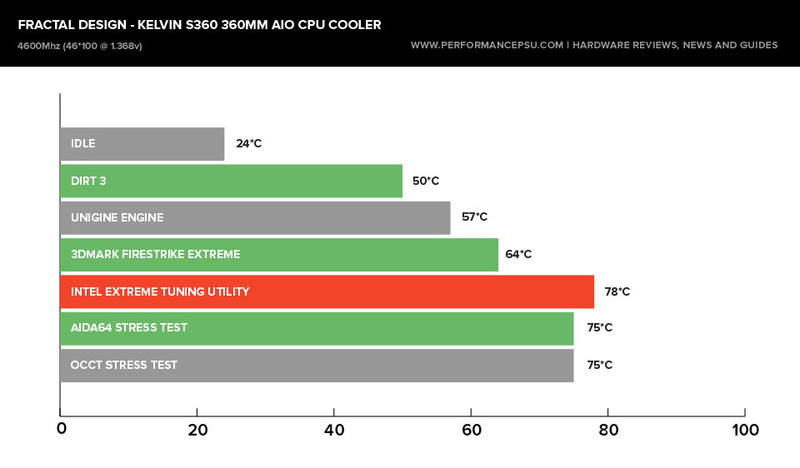 Luckily the S360 AIO liquid CPU cooler does not suffer from this issue! As you can tell from the beautiful hands, this is where I needed the help of my significant other. 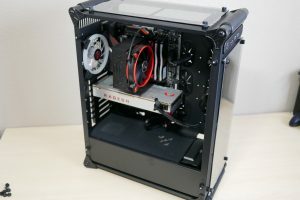 Normally you can just stick the bracket in place, lay your pc flat and away you go but Skylake is making things hard consistently with different units and custom loops. 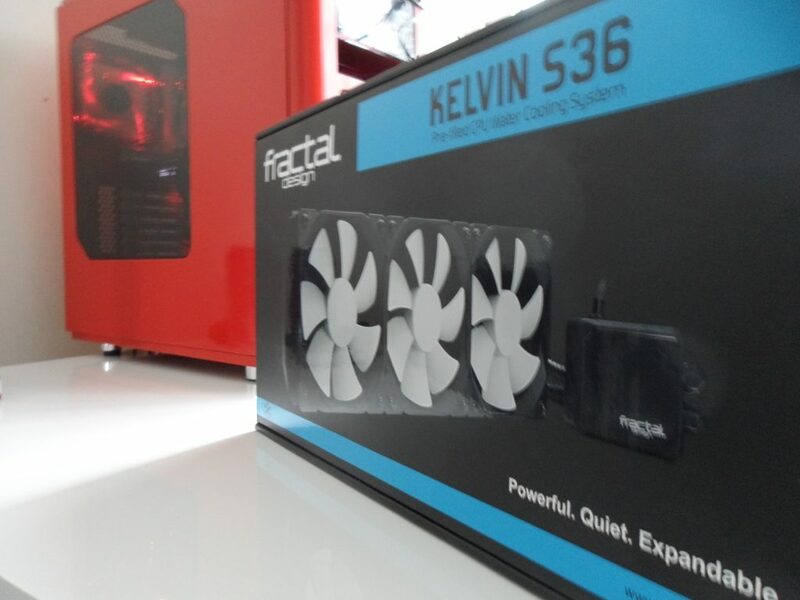 Fractal Design’s Kelvin S36 really does look the part. A lovely scratch free gloss finish on the front of the block and very minimal branding coupled with shiny black tubing and anti king coils. 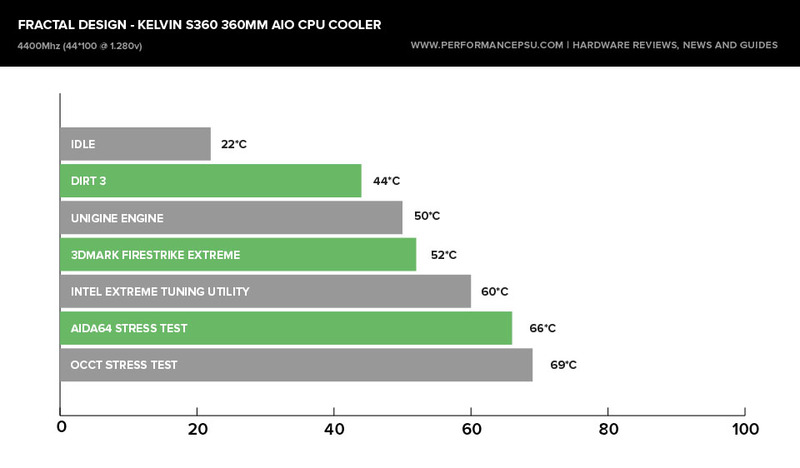 Let’s see what this AIO CPU Cooler is capable of in our performance test. As mentioned in the installation section, I did have a Corsair Hydro Series™ H110i GT Liquid CPU Cooler lined up to compare this unit to seeing as they sit in a very similar price brackets however upon trying to mount it on our test bed the bracket was just too loose to provide any support for the unit so for now I did my best to demonstrate this amazing little liquid CPU coolers performance. All benchmarks and gaming sessions were completed for 15 minutes with the fan profile set to ‘performance’ in Gigabyte SIV apart from the extreme test where I needed to have the fans on full at all times, after each test there was a cool down period of 10 minutes. The temperature’s to pay close attention to are the first three, why? These temperature’s are what you are likely to see under normal use – even gaming for prolonged periods. Intel XTU, AIDA64 and OCCT are all designed to do one thing which is get things toasty, I used these tests to show the upper bounds of the unit. 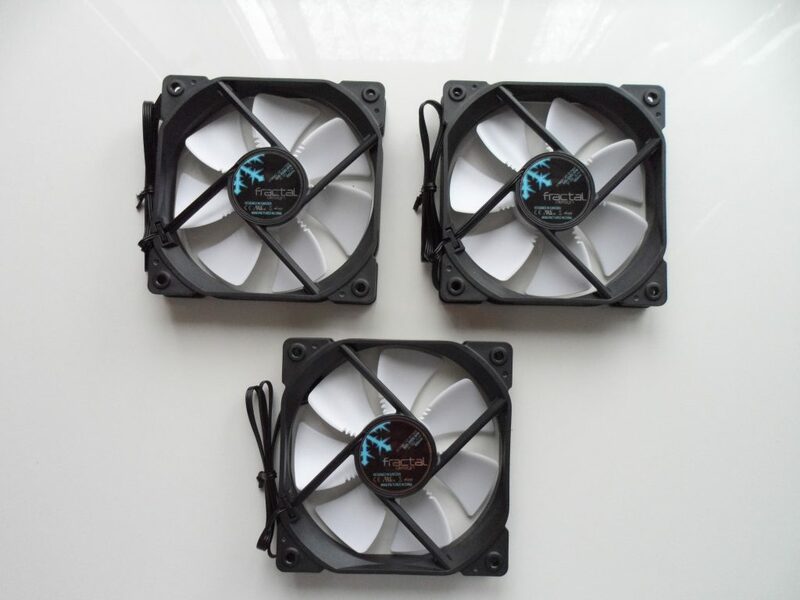 Thanks to a dynamic Vcore and multiplier, the increase over stock at idle is negligible bringing overall temperatures up by just 2 degrees. The chip in our test bed unfortunately did not hit the silicone lottery and requires quite a lot of voltage to even hold a mild overclock safely. 1.35v is about the most Vcore you would want to run on Skylake 24/7. 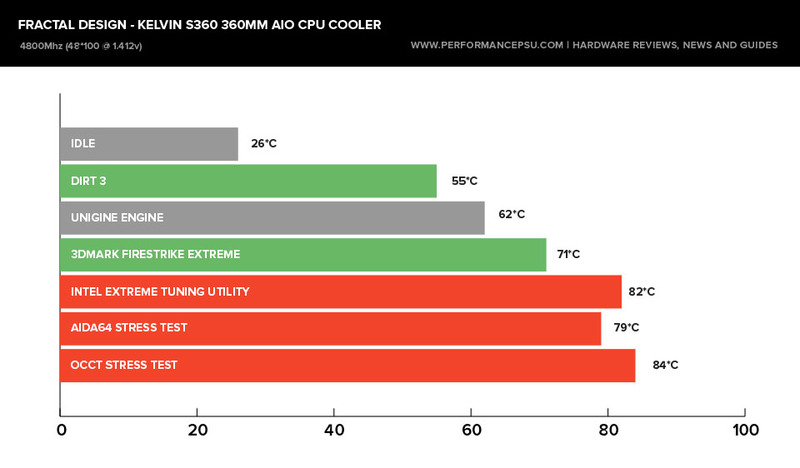 Intel XTU is well-known for draining extra power during benchmarks especially when using offset voltage for overclocking. the result is a 78*c max temperature which over a sustained period would not be great for longevity. Under normal loads and usage however, the S36 does a great job of keeping things cool and with-in safe limits – props! While the Vcore is way higher than I liked to sustain this overclock, my sole intention was to show was this unit is capable of. Under normal usage temperatures are well with-in safe limits for this chip, its only when I really start to stress the CPU does the temperatures start get a little dangerous. the Kelvin S36 AIO CPU cooler has struck a good balance between size, performance and aesthetics well positioning this as a high-end all-in-one water cooling unit that is capable of nearly keeping up with a custom loop. Fractal Design have impressed us with this unit. 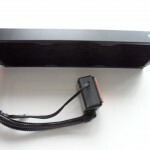 Not only is it capable of cooling the very toasty Intel Skylake processor under some very demanding conditions, but when you are not overclocking your system within inches of its life it’s nearly inaudible to the ears. 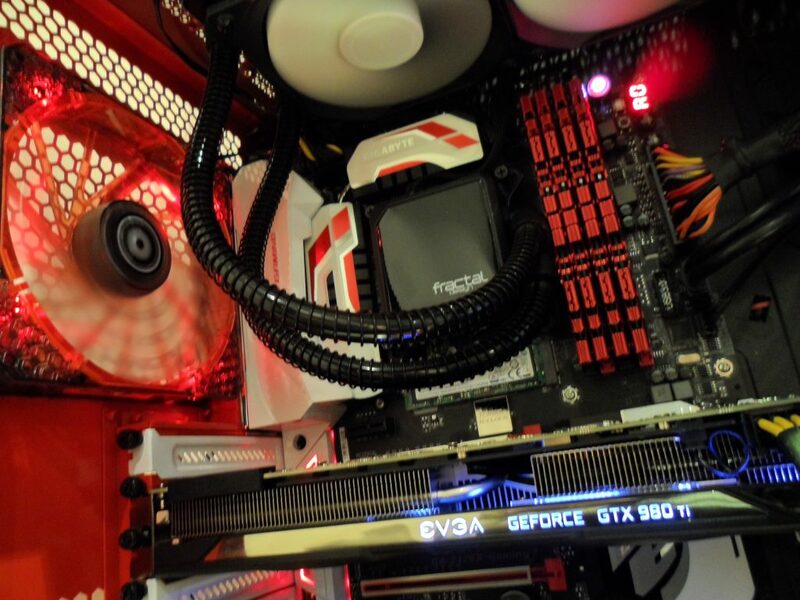 While this won’t have you breaking overclocking records it’s a great start either if you are just starting out and getting into watercooling as well as those looking to safely overclock their processor beyond what a single radiator AIO unit is going to allow. 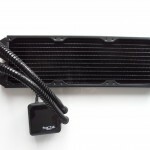 The S360 360mm AIO CPU watercooler is by no means a custom loop but it’s as close as you are going to get without the huge outlay and upkeep that goes with it. 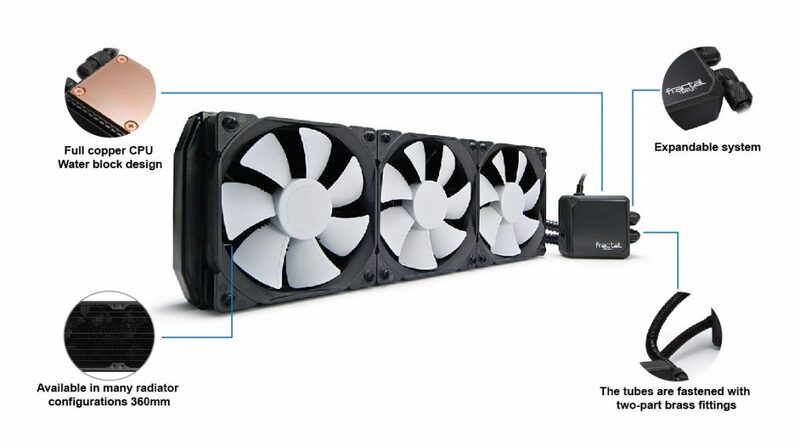 This is one impressive AIO liquid CPU cooler providing impressive cooling capacity and near silent operation when you are just browsing around. 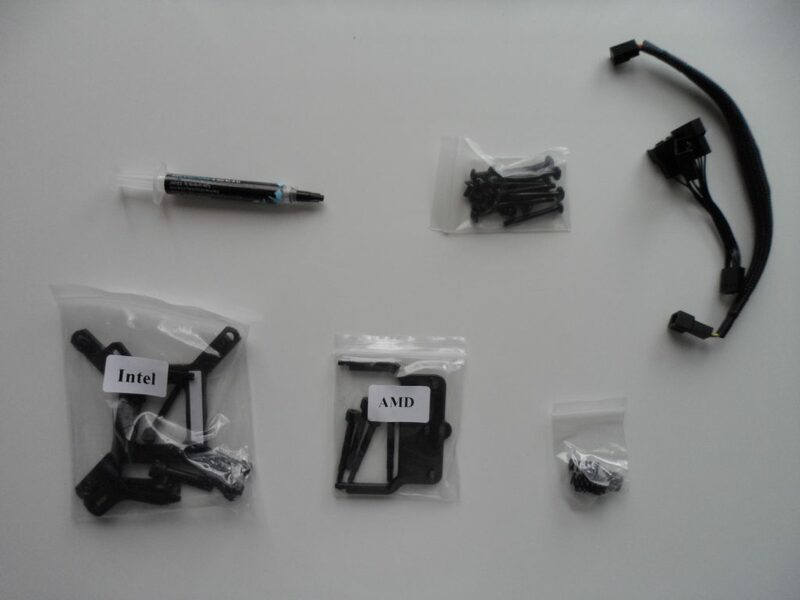 The only small annoyance I had (and I do with most of Alphacool’s radiators) is the lack of screws. It would have been great to get 24 long fan screws instead of 12 so I could have toyed around with a push / pull fan configuration. While it’s only provides a few extra degrees of cooling power, sometimes it’s those extra few that allow you to take things a step further. Regardless of my small gripe, the Fractal Design Kelvin S36 Liquid cooling system is great bang for buck providing enough thermal cooling performance to take even the hottest of chips to their limits and get our Gold Award!